We’re marking London Wine Week 2019 here at TT Liquor with a screening of Ridley Scott’s 2006 romantic comedy, A Good Year. Featuring a stellar cast including Russell Crowe, Marion Cotillard, and Albert Finney, the film follows the story of a London-based bond trader Max Skinner (Crowe) who, following the death of his uncle, becomes the sole inheritor of a sprawling vineyard in Provence, southern France. Despite initially looking for a quick sale, Skinner fast becomes enamoured with the place – where he used to spend idyllic summer holidays as a child – and the people who inhabit it, throwing up the possibility that there could be something in the wine business for him after all. Upon its release, the film split the critics from the general viewing audience – with the former viewing it as a soppy departure from Scott’s normally gritty showings, and the latter viewing it as a perfectly enjoyable watch, and an interesting change of pace for both Scott and Crowe. Regardless of anything else, what is without question is that A Good Year is a stunningly-shot piece of cinema featuring strong performances from an eminently likeable cast, vividly evoking pastoral images of southern France – a perfect watch with an accompanying glass of wine in hand. As always we’ll have the drinks covered, and there’ll be a complimentary cocktail or glass of wine waiting for attendees upon arrival – as well as snacks courtesy of our friends at PROPERCORN. Tickets will be £15 per head, or £20 for a pair when you type in the code ‘vino’ at checkout. Arrival – Attendees will arrive through the doors of our liquor store at 6:30pm to allow time for them to settle in and purchase any beer, wine, or other refreshments they like. Alternatively, guests can make their way down into our Cellar Bar to receive their complimentary drinks. 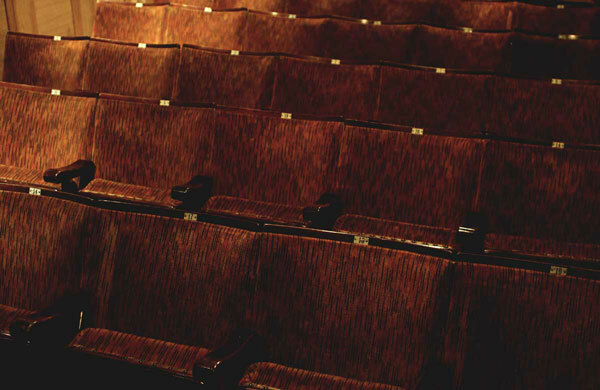 Screening – Then, guests will be invited upstairs to our new 52-seater cinema room, where at 7pm sharp the film will begin. Afters – After the show, attendees will be invited back down to the Cellar Bar, where you can drink, discuss, and continue your evening. Reservations recommended, although not mandatory. "I would like a lifetime spent with an irrational and suspicious goddess, some short-tempered jealousy on the side, and a bottle of wine that tastes like you, a glass that's never empty." 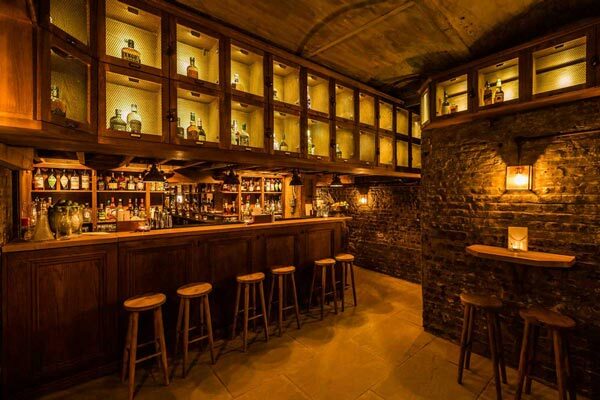 Click here to book yourself an atmospheric alcove down in our subterranean Cellar Bar. Click to return to our main cinema page, where you can browse our full range of upcoming screenings. We’re honouring Wes Anderson, one of our all-time favourite directors, on the eve of his 50th birthday with a screening of perhaps his most artful work yet – The Grand Budapest Hotel. The first screening of May looks set to be a corker, as we put on Fernando Meirelles’ sweeping, Oscar-nominated tale of crime, poverty, and love in the favelas of Rio de Janeiro.